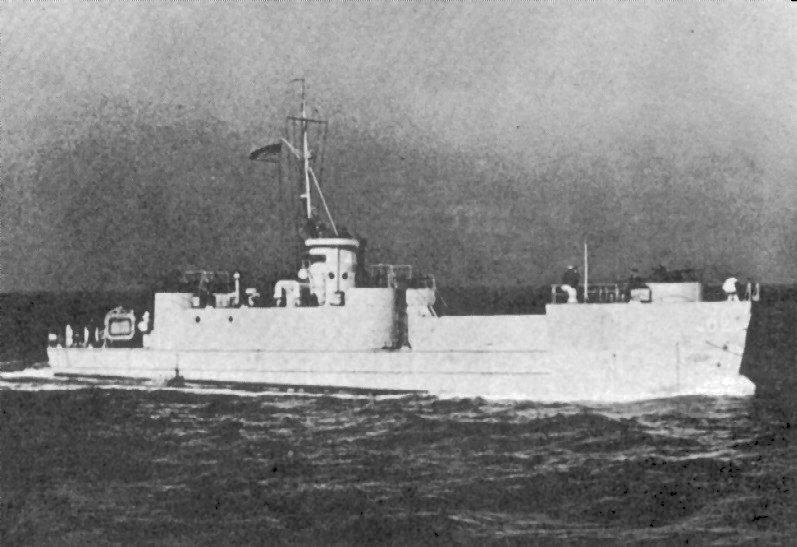 Laid down, 24 December 1943, at George Lawley & Sons Shipbuilding Corp., Neponset, MA. 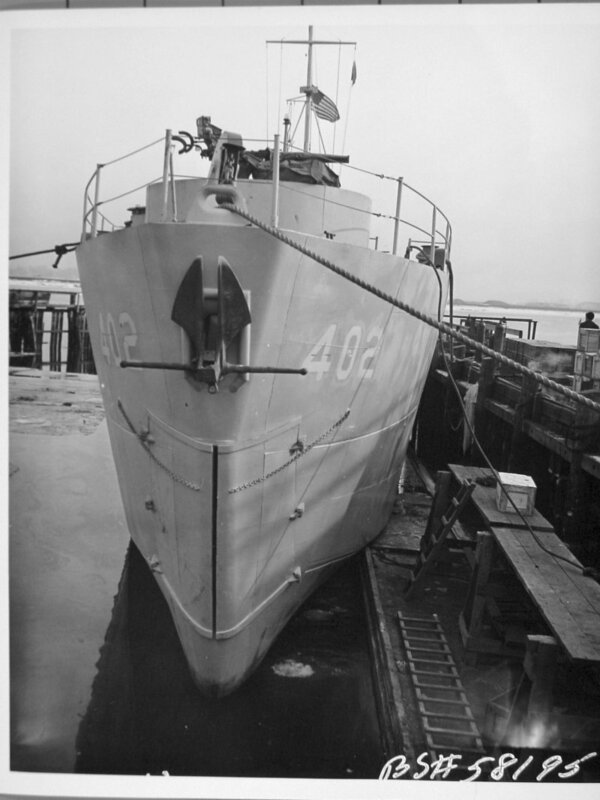 109k Bow view USS LCI(L)-402 moored at George Lawley & Sons Shipbuilding Corp., Neponset, MA., early January 1944. Note she is a version 3 LCI with bow doors and no ramps. 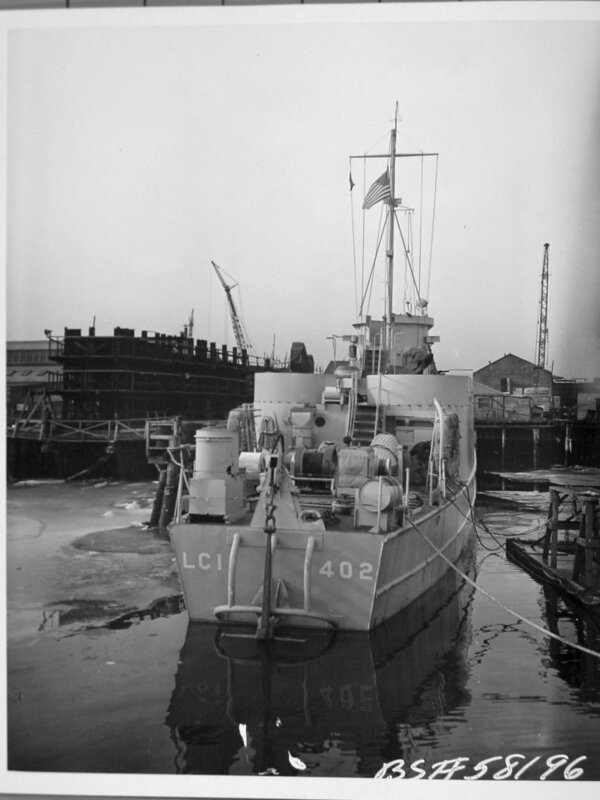 112k Stern view USS LCI(L)-402 moored at George Lawley & Sons Shipbuilding Corp., Neponset, MA., early January 1944. 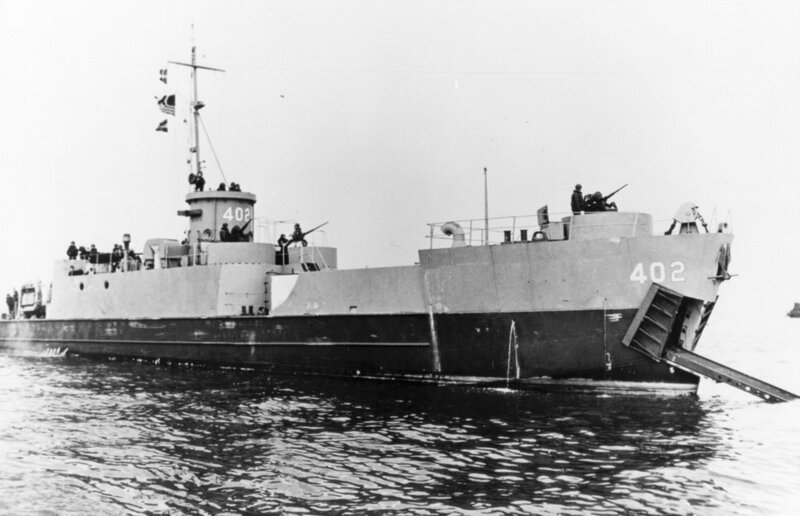 75k USS LCI(L)-402 underway, date and location unknown. 79k USS LCI(L)-402 beached, date and location unknown. 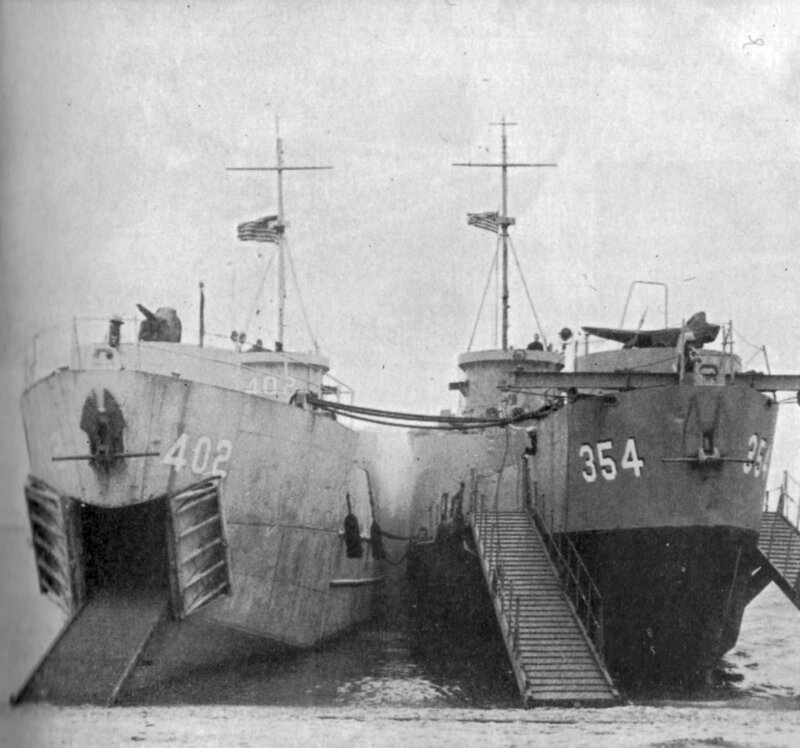 255k USS LCI(L)-402, left and USS LCI(G)-354, right, beached, date and location unknown.